Students use this chart to think about the characters in a story. They can organize their thinking into three columns, the character's name, the character's trait, and evidence. 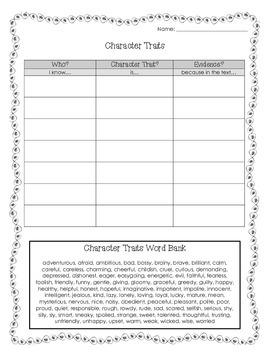 A box of character trait words is provided at the bottom to help struggling students.